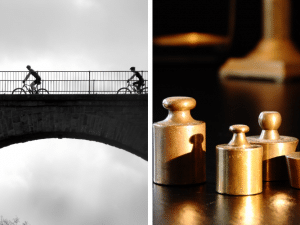 The world of bicycling has changed over the past few years. As people turn to sustainable, affordable transportation options, bikes have transformed and led to the creation of the hybrid bike. While many bikes in the past may have different gears, the hybrid bike is the first all-purpose bike that works for commuting and mountain biking. As cyclists and bike fanatics, we researched and curated the content of the web’s favourite hybrid bikes and wrote this guide to help you pick a bike that is a perfect ride for your budget and needs. Is it a Bike for Me? In a simple phrase, a hybrid bike is a mountain road bike, meaning that it can take you on the trail or give you agile gears for biking on your commute. You get the best of both worlds in this cycling machine, giving you a comfortable ride through all terrains. With most hybrid bikes, they have a tire size of 700c. Wider tires than typical road bikes but slightly narrower than a mountain bike’s tire. You may also find a variety of bikes with 24 to 38c, but there are some hybrid bikes that have 42c tires. This is about your comfort. You should consider if you want more of a road bike or mountain tires for that all-terrain feel. The design of the hybrid bike is a happy mixture of a relaxed position for cycling around town with flat handlebars to help you navigate the road. Cyclists on hybrids typically sit with a straight back and can pedal hard while not being forced to lean forward in this design. With designs geared more towards road bikes, you typically see a drop handlebar. These are lightweight and aerodynamic, which gives you all kinds of different riding positions. These are another common feature of hybrid bikes that extend slightly upward. They allow you to sit upright and farther back, giving you more control and vision. Most hybrid bikes have light padding. Cycle shorts are a good investment if you are an avid cyclist. However, if you are commuting to work, you may opt for a more comfortable saddle rather than the skinnier designs. More padding means more comfort for your backside! Hybrid bikes have really strong brakes so that you can quickly stop. There are a few different types to note. Rim brakes are equipped on the front tires. There are some advantages to this design over disc brakes. It’s easier for economic reasons because you can easily tell when your brake pads are worn down. However, rim brakes also wear out the wheel, which means you will have to replace it with the brake pads more often. These brakes grip onto a rotor mounted at the type. They come in two varieties: hydraulic or mechanical. Hydraulic brakes can withstand strong braking and will self-adjust depending on wear. Mechanical brakes need manual adjusting as pads wear down over time. There are a lot of different designers that go up to 27 or more gears. You may not need all of those combinations. This depends on your fitness level and comfort during the ride. If you are a strong cyclist or you only ride on flat terrain, then you definitely don’t need different gears for hills and such. Hybrid do not really different in materials from other bikes, but you will find that they are made from aluminium, steel, and carbon fibre. These are typically light materials that allow you to adjust your weight to more agile turns and navigation. There are two basic types of suspension designs found in hybrid bikes. Most hybrid bikes do not use suspension because it makes pedalling less efficient. If you ride on paved roads most of the time, you won’t need suspension. There are some bikes made with front suspensions to absorb impact on the front wheel and smooth the ride on bumpier streets. If you take your bike along brick roads, rough terrain, or on trails, then you want to purchase a hybrid with a front suspension. One of the newer designs is eyelets which allows for pannier racks and mudguards. If you live in a particularly wet area, this feature comes in handy. Even with the extra weight, you protect yourself from mud and oil getting on your feet, pants, and legs. Built-in lights are another feature of the latest hybrid bikes. These are perfect for night-time rides. 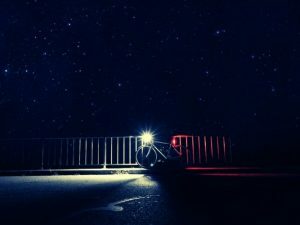 Reflective lights are also necessary if you plan to bike at night. There is a lot of variation in the types of hybrid bikes. Some are made for the road with a few options for exceptional terrain, while others are made for serious terrain and sit closer to the mountain bike design. 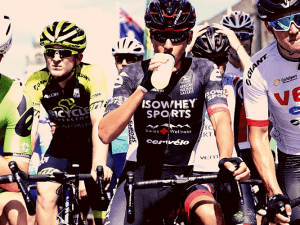 If you are unsure about how it will suit your cycling needs, you can always rent one before purchasing so you can see how it will handle on the road. Hybrid bikes are not really broken down into categories. You can pick a hybrid based on features that accommodate what you are using the bike for. For example, if you use the bike mostly for long commutes on congested roads, you want a bike that is more suited for the road but possibly has some gears or hydraulics to deal with different terrain. 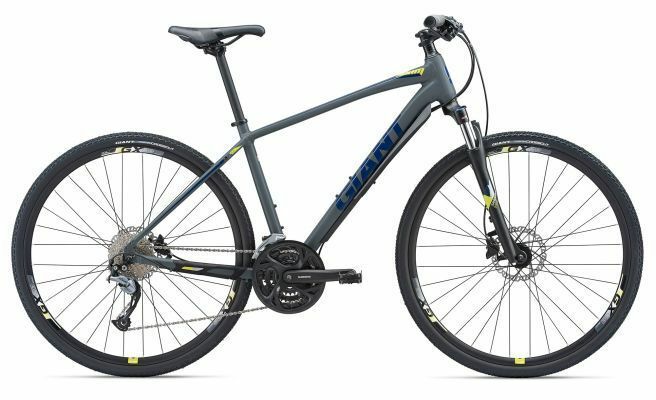 However, if you truly want a bike that can provide speed and agility on the road while also handling mountain biking trails, then you want a bike that comes with hydraulic brakes, front suspension, multiple gears, and strong disc brakes. These are a selection of hybrid bikes that we think fit most of the needs of riders today. They have most of the features listed above and are designed for smooth cycling in all types of terrain. 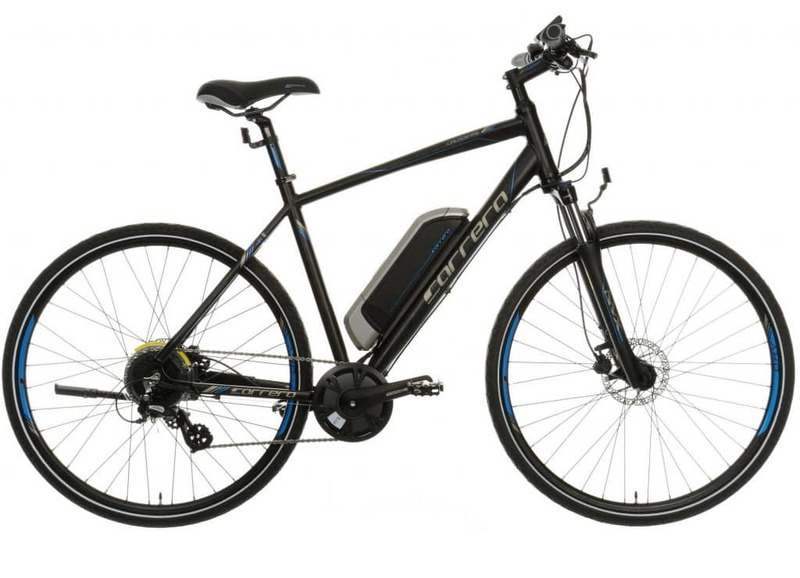 Designed by hybrid bike enthusiasts for hybrid bike enthusiasts, this model from Decathlon combines comfort and style at a sensible price, with a wealth of features to suit. This bike features a lightweight aluminium frame and has been designed with a wider thought on the touring element. It is stylish and traditional in looks, yet up to date and modern in terms of technology and performance. Decathlon is a French bike maker, and the French do know their bicycles. This particular model is equipped with an aluminium unisex frame, and comes fitted with 28” tyres that are suitable for both road and trail use. A nine-speed trigger shift makes changing ratios simple and smooth, and quick release wheels aid maintenance. The fork includes a suspension element which, coupled with an ergonomically designed saddle, makes this a bike that handles well and is comfortable to ride, and front and back disc brakes give you the power you need to ensure safe stopping distance. The Decathlon B’Twin range come complete with front and rear lights, so you are ready to go, and are available in three frame sizes – small, medium and large – with a weight of 13.6kg for the largest model. If you’re looking for a decent bike at a very good price, with all the features you need to simply get out and enjoy the roads, this could be the one, and it’s also suitable for light off-road use, but we wouldn’t recommend it for heavier trails. 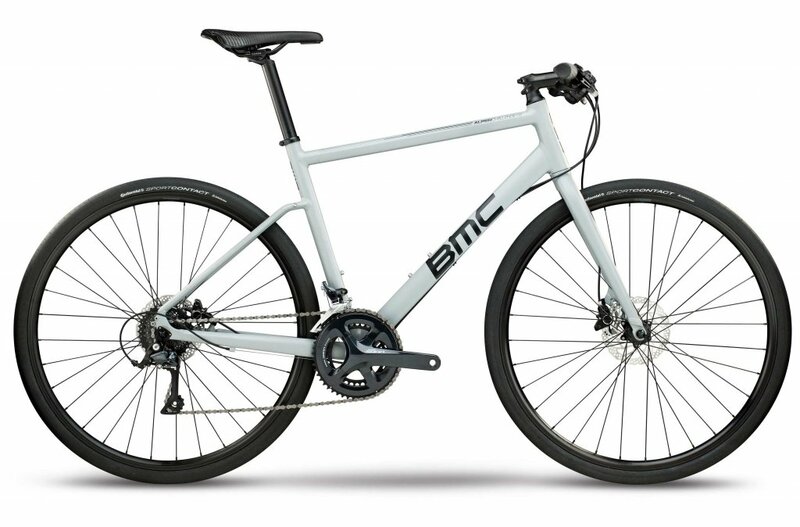 Compared to the above, this bike from BMC takes things up a gear. This is a serious bike in every way, designed for speed and style and with some neat design innovations, and one that is certain to appeal to the dedicated cyclist. Let’s be honest here; this bike commands top dollar, and for a good reason. If you are someone looking for a high-end hybrid bike that will tackle any serious challenge, this very sporty and stylish bike is for you. If you’re looking for a bike for occasional use, there may be better options at a lesser cost. We’ll get straight to the point: this is a brilliant hybrid bike. It comes with the highly regarded Alpenchallenge hydroformed aluminium frame and fork, 18 speed Shimano drive train and post-mounted Shimano disc brakes, plus top quality sport tyres from Continental. As with most quality bikes, you are left to source your own set of pedals, which means you can satisfy your own personal choice. A comfortable, ergonomically designed saddle adds comfort, internal cable routing is a neat touch that makes things a lot tidier, and everything is simply top of the tree in terms of quality. This bike comes in a full range of frame sizes from small to extra-large, so everyone should be catered for, and while not cheap, is certainly not expensive for a high-end hybrid bike that ticks all the boxes. All in all, this has to be one of the finest choices if you are looking for a hybrid bike for serious, regular use. It’s aimed at the dedicated cyclist more than the hobby rider, is highly specified and made to a very high standard of quality, and is one for the shortlist if you’re looking for your next long-term bike. 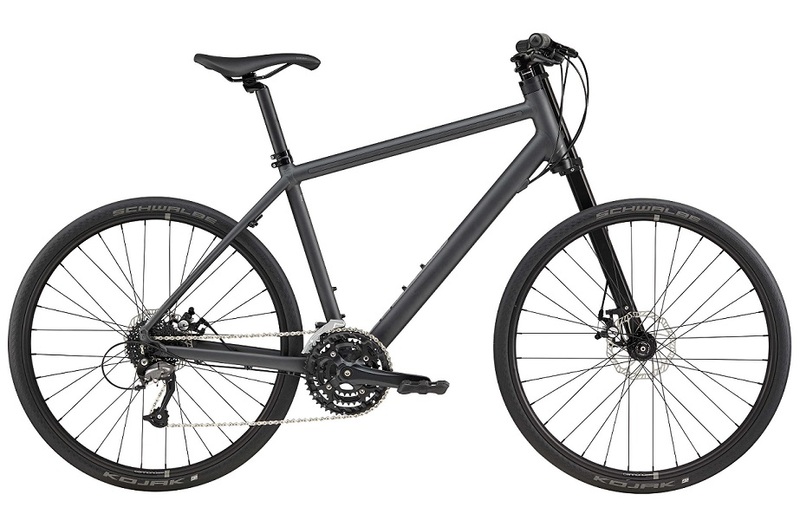 If you want a bike with that extra bit of power from an electric motor when needed, great for tackling the worst of hills, this model from the Carrera brand could be the one for you, but it’s not cheap. Clearly aimed at commuter riders, this is the perfect city bike for anyone who likes to ride to work, and the electric motor can provide plenty of pedalling assistance and power the bike up to 15mph. If that’s what you need, take a good look at it. Carrera has a vast range of bicycles of different types, hybrids among them, and this model is definitely one with a specific market in mind. This is not designed as a sports bike, although with the spec it has it can easily handle off-road work to an extent, but one that is for practical use. With a lightweight aluminium frame, suspension forks and an 8-speed drive train, you have everything you need for comfortable, efficient cycling, then you have that electric motor. Powering the rear hub, it provides three levels – Climb, Tour and Eco – of available assistance, and is very effective indeed. The battery will provide up to 60miles per charge, it has hydraulic disc brakes all-round, there are three frame sizes to choose from, and it’s very nicely made. But, it’s all about the electric motor. If you want a bike with electric assistance, this is certainly one you should be looking at. If you don’t, we’re not sure why you would include this otherwise very decent bike on your shortlist. Cannondale brings to the table this innovative design that claims to be the ultimate in hybrid bikes, and very probably is. With everything you want for city rides or off-road use, it’s a great machine. Are you looking for the ultimate hybrid bike, one that takes the traditional design of a bike and changes even the basics? Then this is for you, as it really is a cut above the rest – and in price, too. Cannondale is a leading name in high-quality bikes, and this is a prime example why. The Bad Boy begins by changing bike design in a fundamental way: the front fork is a single-sided device, sitting to the left of the wheel as the rider looks. The purpose is for steering precision and to aid visibility, and it’s certainly innovative. The frame is made from C1 aluminium for lightness, the seatpost has LED lighting incorporated, and the bike itself is designed for sports use and comfort. Alloy bars help the weight, Shimano drivetrain and disc brakes make for superb performance, and a Rapidfire 8-speed shifter means smooth changes throughout. The bike comes wearing fat tyres for both urban and off-road use, is available in four frame sizes – small to extra-large – and is a very nice, top quality design all-round. This is a tremendous bike, one that shows there is still some innovation to come in terms of design and construction, and it has all the attributes of a hybrid bike that you want. The only concern is whether the single fork idea is worth the effort, and also be aware that you are paying top money here, but it’s very, very good. This very neat and stylish hybrid offers all the attributes of the breed at a very sensible price, especially given the quality of the product, so is certainly worth checking out if you are on a limited budget. An aluminium frame and suspension forks, quality drivetrain and brakes, plus sporty looks and a stylish design, all at a price that is not going to break the bank – if this appeals to you, then there is a strong chance you might like this hybrid bike. This is a very decent bike with a high-grade aluminium frame for weight saving and strength, plus a Suntour 63mm travel hydraulic lock-out front fork set for added performance. A 27 speed Shimano drive set gives you all the ratios you could want whether you are on the morning commute or out on a trail. The Giant Roam 2 comes with Shimano disc brakes front and back for certain stopping performance, and is equipped with a large-size comfort saddle. Anti-puncture tyres make this a great bike for off-road fun, and it’s available in a full range of frame sizes to accommodate most riders. The sporty and stylish design and understated grey finish give this bike a look that is trendy and yet not outlandish, and with the specification it has, it would be equally at home as a road bike or on trails. It’s also a very sensible price in comparison to some of these. This review covers every level of hybrid bike in terms of cost, and this one pitches in very well against the competition. Given the stylish looks, quality of the drive set and other fittings, and the choice of frame sizes, it’s certainly worth looking at if you want a bike for under £500. The second on our list from the Cannondale range, this is Bad Boy 4, and it offers everything you would expect from a hybrid bike including the usual Cannondale innovations, but at a more reasonable price. If you are hooked on the idea of that very original single-fork design, and can’t afford the Bad Boy 1 listed above, you might be interested to have a look at this one, as it offers a lot of excellent features and doesn’t cost the Earth. Featuring a C2 grade aluminium frame, plus the trademark single left fork – which is rigid – this bike is one that brings the latest technology in bike design to the fore. Designed primarily for the urban user – the single fork is for steering precision and added visibility – it combines comfort with performance, with a fabric saddle for support. 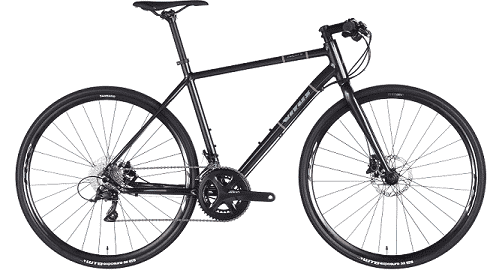 The drive set is a Shimano set up with a 27 speed shifter, Promax mechanical disc brakes are fitted front and rear for guaranteed stopping performance, and 650 size tyres mean this is a bike that can handle road and off-road use. Notably, it weighs less than 12kg – that missing fork surely helps – so is very light and easy to handle. The looks of this bike are partly what draws the buyer in; there is no doubt at all that the single left fork is a talking point, but it also has its merits in terms of performance. Some riders have claimed there is not a better bike for less than £1000 – that’s certainly food for thought. 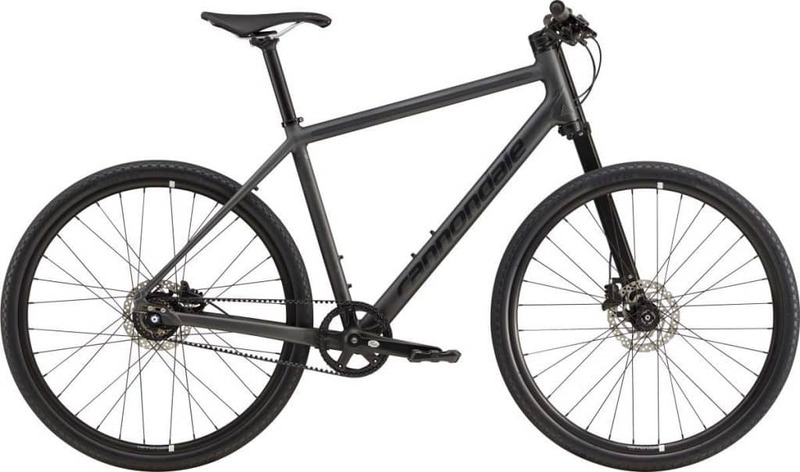 If you are hooked on the idea of the Cannondale’s innovative front fork design – and many riders have said it makes a different in a positive fashion – then there is little on the market to match this very neat and stylish, let along fine handling, hybrid bike at the price, so you should put it on your shortlist. Designed with the urban rider in mind, this sensibly-priced, quality hybrid bike offers great performance and more than ample comfort, as well as stylish looks. This is a unisex bike with two frame sizes available – 48 and 50 cm – that comes with all the usual features you want from a hybrid bike. If you want one that is primarily for the commute or urban riding, this has been built with that in mind, so take a closer look. With a lightweight alloy frame, stem, seat post and flat handlebars, this bike is designed to weigh in at a low level, and at just 11.26kg it certainly achieves that aim. Vitus supplies a lot of the parts in-house for this hybrid – including the bars, stem and saddle – but sensibly uses outsourced drive train and brakes. As is the industry standard, a Shimano drive set and gears is used, this one being the Sora 9-speed plus crankset etc, which is well and truly tried and tested, and the brakes – discs front and back – are also Shimano, and are hydraulically operated. This is a good set-up for an urban bike. Larger sized WTB Exposure tyres make for a comfortable and safe ride on the road, and the bike is also suitable for off-road use, and we can’t fault this one at all except if you prefer a suspension fork, this one is rigid. Put simply, if you’re looking for a sensibly priced hybrid bike that will enable you to ride in town or city, and perhaps take the odd off-road trip, then this Vitus model could well be the right choice. With change from £500 at the time of writing, we think it excellent value, and well worth a closer look. 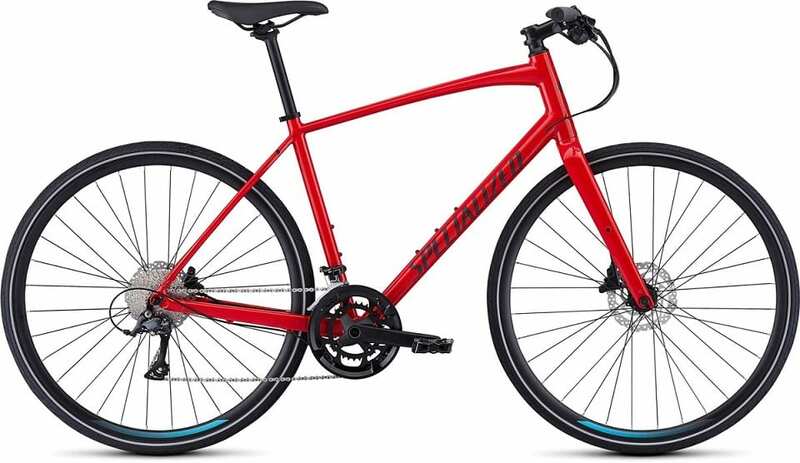 A classy design that combines neat touches such as internally routed cables with the usual attributes of a hybrid bike, this one from Specialized is designed for both road and off-road use, and provides comfort as well as performance. There are some very special touches to this bike, which comes from one of the top brands, such as carbon forks for a smoother ride, and everything in its design and construction is of a high quality. 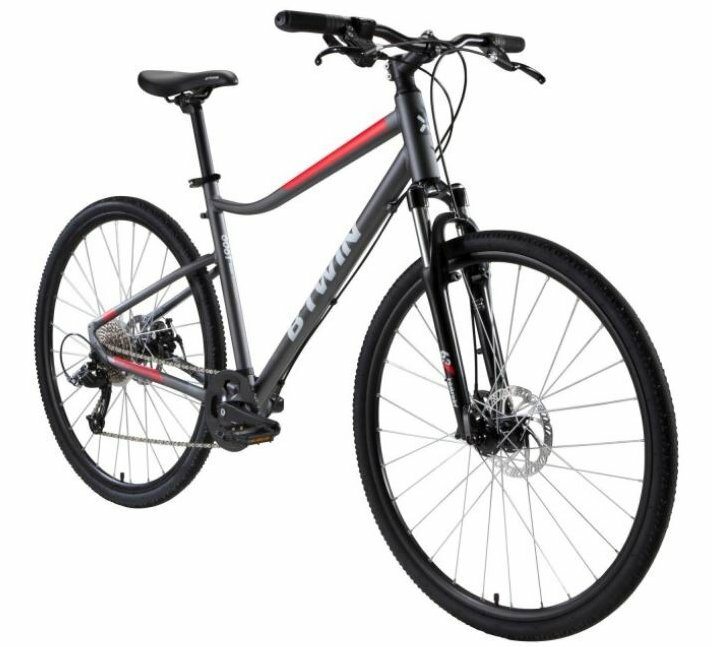 For anyone wanting a great hybrid bike for less than £1000, there’s a lot here to recommend. The premium aluminium frame is the first point of call, and is a beautifully designed frame all-round with butted tubing and internal cable routing. That very neat carbon front fork means you get a combination of strength and performance, so you can expect a smoother ride wherever you are. The drive set on this bike is the Shimano Sora design, here presented in 18 speed spec with microSHIFT changers for very quick and smooth gear selection. Brakes are Tectro hydraulic discs with Shimano centre hubs, providing you with unrivalled stopping power. Specialized supplies the tyres – Nimbus 700x32mm for great performance wherever you are riding – plus pedals, and the overall make-up of this bike is impressive indeed. At this price – not much more than £700 – it’s firmly in the must-see category. There are some bikes in this selection at a similar price to this one, and they offer similar specification and performance. This one is very nicely built, comes from a top brand, and is definitely worth a second look. The carbon fork appeals to us – although to some it may be a gimmick – and it has all the right credentials at the right price. 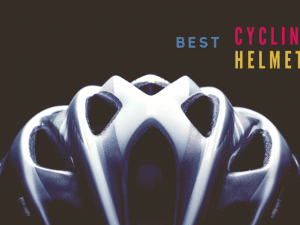 We have given you a choice of 8 of the best hybrid bikes available, from some of the top brands, so which would we choose? 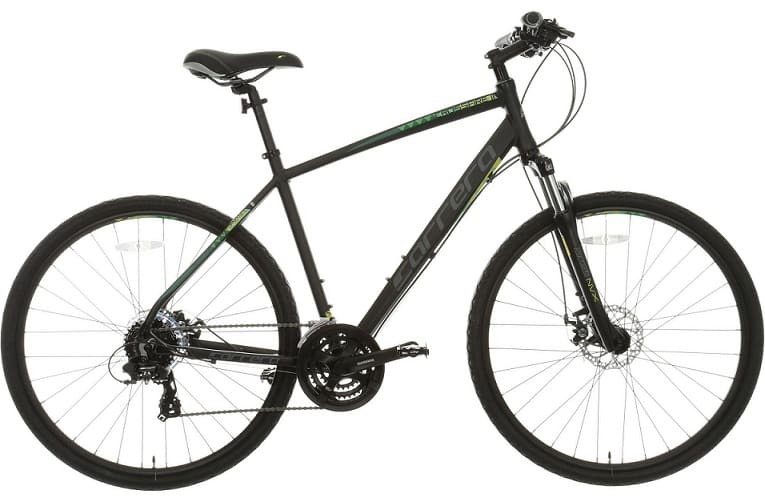 It is difficult to recommend a single bike from this list unless we are aware of your budget, so we’ll go down the middle; the bike we like best of all is the Specialized Sirrus Sport, as it provides excellent quality in terms of design, running gear and specifications, at a price that is towards the lower end of the range we have included. This is a favourite of many cyclists because of its design and easy handling. The flat bar package is a design that everyone loves as well. This B’twin provides a 6061 frame and combines a carbon fork. For the price point, you get a lot of value from this bike, and you still get all of the comforts. The triple gears up front make it easy to go up hills and straddle rough terrain like a professional. 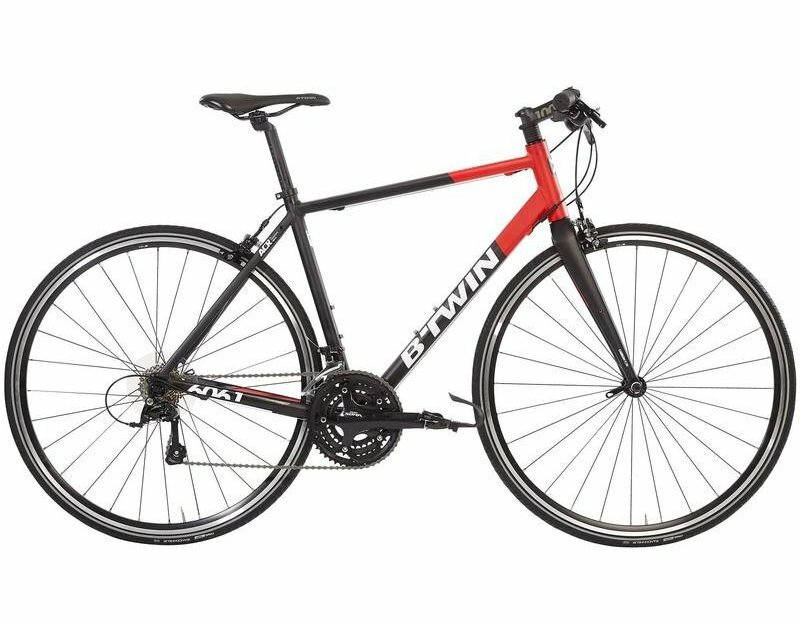 Lightweight and agile, the B’twin is the perfect road bike and has some of those additional features for when the terrain gets a little rough. At around £429, it’s one of the best hybrid bikes we have come across. This hybrid bike caters to all-terrain cycling and will have wider tires as well as a front end suspension. If you like to experiment with off-roading and want that all-purpose cycling machine, then the CrossFire is definitely our top choice. The fork offers over 75mm of travel, and you can adjust to provide a sturdier ride for long commutes. However, the tires are particularly wide with this model, which uses 42mm Kendra tires. The extra spring will take some getting used to if you are used to smooth road riding. Halfords sells this model for £260 but you might want to crack on because they’re out of stock pretty quickly. If you go into any bike shop, the first question will always be, “What are you using the bike for?” Just like when you go to pick out a vehicle, if you want to be able to take your car into the mountains, then you’re going to need the right tires, brakes, and design to meet those needs. Hybrid bikes are perfect for the avid cyclist who goes everywhere on their bike. The stronger bikes combine a few of the features needed to get uphill, while others may have stronger mountain biking features if you really want to take your bike on the trail. The best way to figure out what type of hybrid is best to evaluate how you currently use your bike. If you are using the bike every day for a road commute, then you want to pick a bike that is heavy on the road bike design. Urban streets have bumps, turns, lifts, and cracks. You want a bike that is sturdy and can easily whip around corners or go up hills as needed. If you live in a heavy traffic area, then you also want a handlebar design that is going to give you more agility. Road bikes are known for their speed. Commuters know that you need a bike that can fly and handle well around street corners. If you have a longer commute, you want to pick a bike that can take you quickly from here to there without a whole lot of effort. 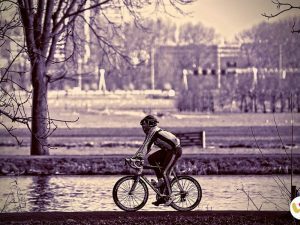 If you want to take your bike on an adventure or know that your city has a few hills that you battle, then you can get a bike that has more gears, suspension, and hydraulic brakes to handle these areas. However, with most hybrids, you are not going to get a strong mountain bike. The type of materials used for your bike’s design really matter. You should ask the shop about the material of the frame, fork, handlebars, and belts. While hybrid bikes are lightweight, you want to be able to turn the bike easily and not feel you have too much extra weight. The majority of bikes today are made from aluminium, carbon, or steel. The least used in bike frames is steel, so you should automatically eliminate these bikes as they are heavier and not typically used in any road bike design. It can be difficult to take these bikes over hills as well. Aluminium is the common material used for most hybrid bikes. This is because it cuts down on the budget, makes the bike lightweight, and gives you a comfortable ride over the hill. Road bikes typically have fewer gears, comfortable seating, smaller tires, and narrower handlebar designs. This makes it easy to fly through city streets and navigate around traffic with ease. If you are riding mostly on roads and bicycle paths, then the best option will be a road-oriented bike that has some hybrid features. These bikes have the same fork and frame as a typical road bike, but you get a flat handlebar and more upright design. Tires on these bikes are also a bit narrower, which gives you a faster ride to keep up with traffic. However, if you plan to go on an adventure or simply know that you like to use the wooded path sometimes, then you should pick one that can handle all types of terrain. The main difference with bikes more orientated for all-terrain is that they will have a suspension fork. This gives you more comfort when going over rough terrain and bumpy surfaces. Slightly wider tires are also more common in hybrid bikes geared towards mountain frames. These tires may have lots of treads to give more grip. With each of these bikes, you will make a trade-off in speed, agility, comfort, materials, or terrain. You may want to have a bike that can handle different types of terrains so that you can switch more readily as well. While the materials and components of the frame matter, other features will help you make a decision for day-to-day use. 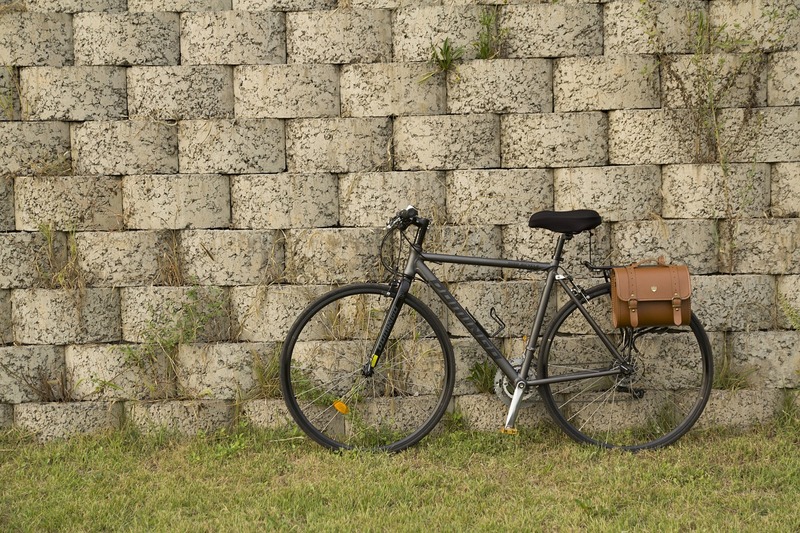 If your bike needs to carry a pack or heavy items, then you want a bike that can support a rack. You will need to invest in a pair of panniers, which will place more weight on the bike. Most of the latest bike designs also have eyelets that make it easy to attach a pannier rack. You can also purchase clips that let you adapt to a bike that has no eyelets, but these do not hold the rack as securely, so make sure that you attach the pannier racks carefully. In addition, cyclists need a lot of clearance between the frame and tire that lets you fit on mudguards and eyelets. While you may not want to change the look of your bike, it’s always better to have convenience and value, especially if you are cycling on wet roads frequently. Disc brakes were not used for road bikes until the hybrid bike started to become popular. Traditional road bikers do not embrace the disc brake because they are more expensive and require some maintenance. However, rim brakes also cause issues for daily commuters. Disc brakes are good for braking power and consistency on wet roads. If you take a muddy pathway to work, then you definitely want a disc brake that can easily clear the debris and keep you on the ride. The best way to pick a hybrid bike is by thinking about your day-to-day use and what issues you currently face during your commute. If you know that you have a lot of traffic and need an agile bike, pick a design that is lightweight and comfortable. 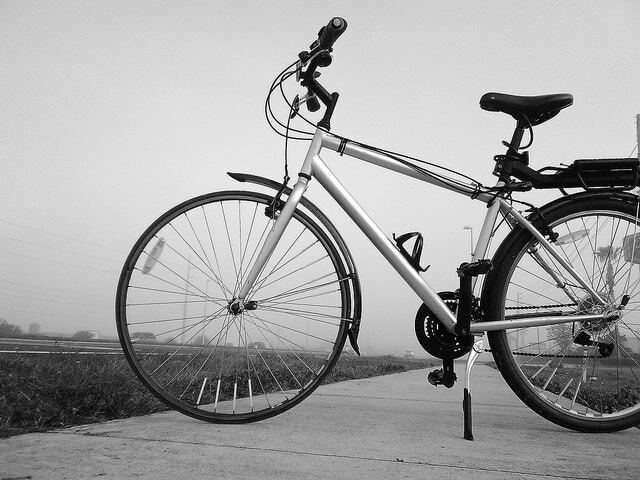 If you are just popping around town on the weekends, it may not matter as much to have a road-oriented bike. You could pick a more comfortable saddle, lots of gears, and front-end suspension so that you can take on any type of terrain as you ride. After all, that’s what hybrid bikes are meant to do!